Colorado's 10 Best Live Theater Venues! From hard-pressing dramas, to classic musicals, to new-age shows, live theater in Colorado is nothing to scoff at. There are top-notch actors, singers and performers in the Centennial State. Many of Colorado’s best theater locations have been pleasing audiences for decades. 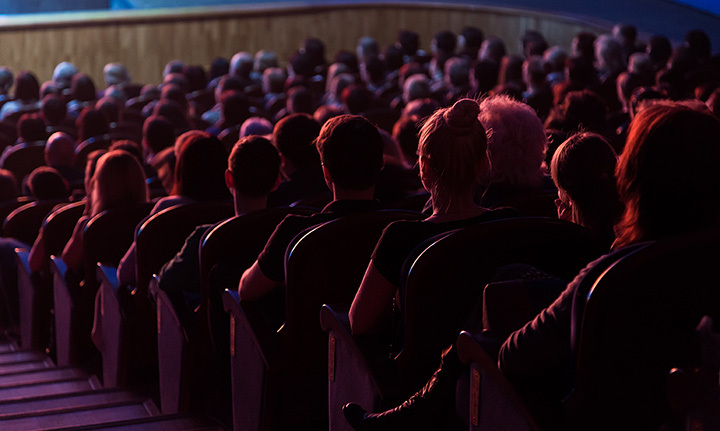 These 10 best live theater spots in the state will make the stage come alive and will surely invoke emotion in every single member of the audience. If you are looking for thought-provoking theater or something new and unusual, then a performance by Curious Theatre Company is the perfect match for you. Established in 1997, 66 percent of Curious performances have been from plays written by women, people of color or LGBTQ playwrights. This theatre company in Denver will leave you with a new set of emotions. “No guts, no story” is the true theme behind Curious Theatre Company. Being active for 35 seasons and having performed over 400 productions, Denver Center Theatre Company is a renowned theatre company popular in the state and the country. Find your new favorite play from a brand new playwright or watch a beloved musical classic. No matter what type of theatrical performance you are seeking, one of Denver Center Theatre Company’s performances are sure to please. Boulder Ensemble Theatre Company, which performs at the Dairy Arts Center in Boulder, has made a name for itself by offering powerful, vibrant and entertaining theatrical performances. “Wonderful Stories. Wonderfully Told” is the motto of the Boulder Ensemble Theatre Company. And these wonderfully told stories is what got this Colorado theatre company this year’s award for “Best Theatre for Adults” by Westword Denver. Enjoy dinner and a show at Boulder’s Dinner Theatre. Top-notch performance and actors create an incredible show. Since 1977, Boulder’s Dinner Theatre has performed four different shows a year, including musical classics. Enjoy some of Boulder’s best vocalists and actors at this fun-loving dinner theatre. OpenStage Theatre has been pleasing northern Colorado theater-lovers since 1973. Big performances by OpenStage are seen at the Lincoln Center. However more intimate performances can also be found through Theatre in the Park. The next time you’re in Fort Collins, a performance by OpenStage Theatre is a must-see. Creative theatrical performances are always performed by Edge Theatre Company. Classics are performed by this eclectic company but new and modern plays are what make Edge Theatre stand out. The 3,000-square-foot venue where Edge Theatre Company performs is a fitting scene for the many inspirational performances put on every year. The Arvada Center is a great spot to find some incredible theatre near Denver. Audiences have been viewing classic favorites on the stage at the Arvada Center since 1976. Catch shows such as “Sister Act” and “Jesus Christ Superstar” at this multidisciplinary arts center. The Longmont Theatre Company, which performs at the Longmont Performing Arts Center, puts on approximately seven shows a year. Longmont might not be thought of as a theatrical hot spot, however the Longmont Performing Arts Centers puts Longmont on the map. View more Colorado Theaters and Playhouses.